I had posted it once before but that thread didn't make it across to the new site, so I thought I'd put it up again. Previously used many of the super shiny, glossy, "wet" products but ended up choosing the matte finish of Black Magic Titanium Matte Finish. Lasts up to four weeks – Well, I would say if it doesn’t rain, I can usually just hose them off at the car-wash and not have to re-apply. I can go two or three washes if don't blast the tire. I just hit quickly to get off any dust or dirt that might be on there, quick hit during the rinse cycle and they are still in pretty good shape. By the fourth wash, I put more on. Matte finish is just my taste but the application method works for all the liquid types. Eagle1, Meguires, etc. I don't know if it works with the gel shines. I've used all types of applicators: sponges, rags, spray and leave. But I discovered if I use a brush, it gets around all the lines and letter on the tire better. I use either of these two styles. Mostly I use the blue brush now days. Once I finish drying the car, the tires are already mostly dry, I just spray it on the brush and swipe around the tire a couple times and move on to the next one. Super simple. If I want to be real picky, I pull the car forward a foot or two and make sure there aren't any gaps. Boom, drive away and it really does dry so fast, sling is a non-issue. Keep the brush in a plastic grocery bag in the truck so you don't get it all over the place. 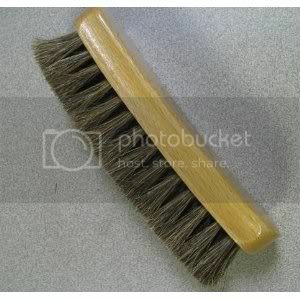 Does anyone else use a brush? Nice! 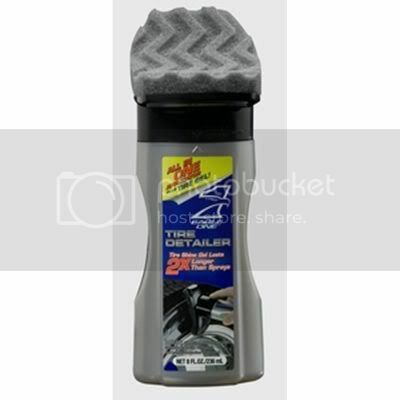 I use one of those black tire gel applicators, and it works pretty well. I use this and works good. That's exactly what I use...works well...I just keep it in a plastic baggy for storage. Yup,me too. Works great and little to no mess. I use the Black Magic Gloss tire gel. It works well, as long as you don't put it on too heavily. 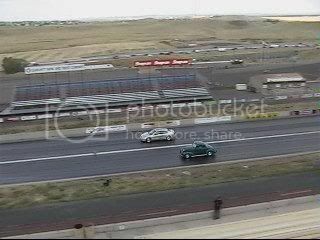 You have to let it set up for a little bit before you drive the car, or it WILL sling it all over the side. Eddy,why do you put Vaseline on your face?? Im going to try this matte spray. 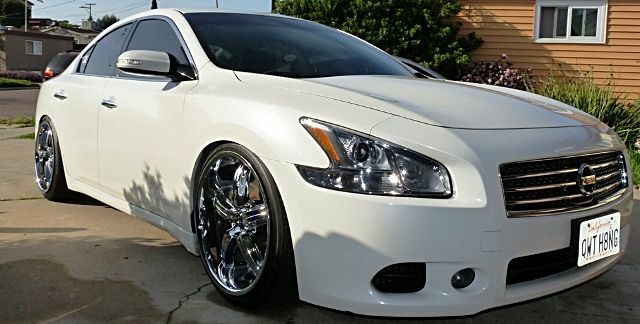 Im not a huge fan of the glossy stuff. 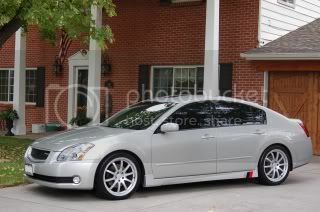 I just want my tires to look black. I have some Wolfgang tire gel that is supposed to be good stuff, but I'm trying to get rid of the Black Magic first! I use the Black Magic Gloss tire gel. It works well, as long as you don't put it on too heavily. You have to let it set up for a little bit before you drive the car, or it WILL sling it all over the side.....! Hence the title! "Fastest method"
This too, again it was okay. Funny you mention "fastest".... When I clean my car, I take my sweet time. I remem my ex gf ended taking a cab home because I was taking too long to clean my car lol. Its never tiring for me. I just pick a day I'm not tired. Edit: I had to pay for her cab home. I hope you learned your lesson....Make her walk next time!! Wait, no one caught the fact that Eddy called it a RIM!?!?!? I use Kitchen Sponges, 5 in a pack for like 1 dollar. Works great. I like the curved sponge applicator. I need to buy one of those. I guess they are available in the auto parts store? 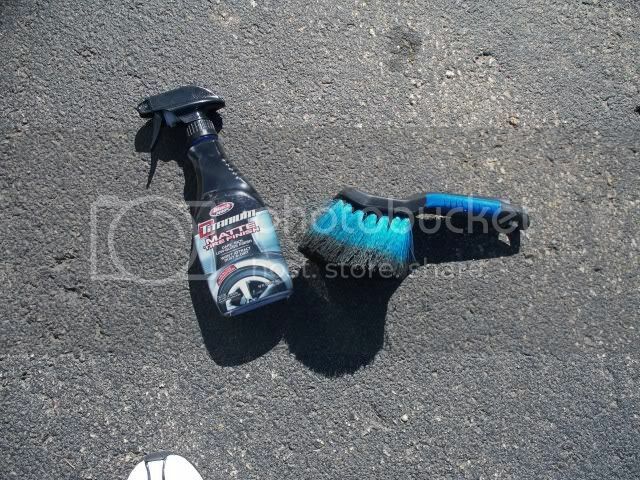 I use Ice Tire shine that comes with a brush. No complaints here. For technicality's sake, it's called Rim. 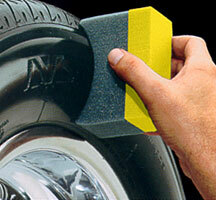 The overspray gets on the rim of the wheel, and rarely on the wheel itself. Just make sure it contours your tire perfectly otherwise it's a lost cause and you could use the same thing I do, for a lot cheaper. 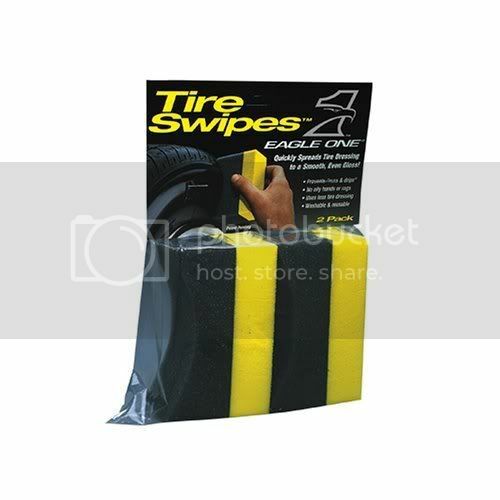 The curved sponges sometime came free with purchase of Eagle1 tire shine. They offer that from time to time. They get a little gunky after a while though, they yellow on them, gotta be careful not to get it on there or your hands gets tire shiny.